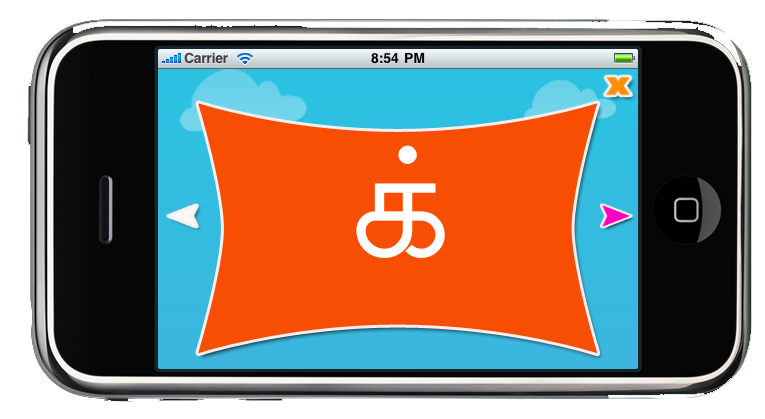 I bought this app and was very helpful to train my son in Tamil alphabets. It is very handy to use when going for a long drive. I was able to train and re –train him quickly, I strongly recommend this App. Great App ( ) by Ananth and Aum, Aug 17 , 2010. This is a great app. My kid enjoyed using this and it helped him reinforce his pronounciation and alphabet recognition skills. 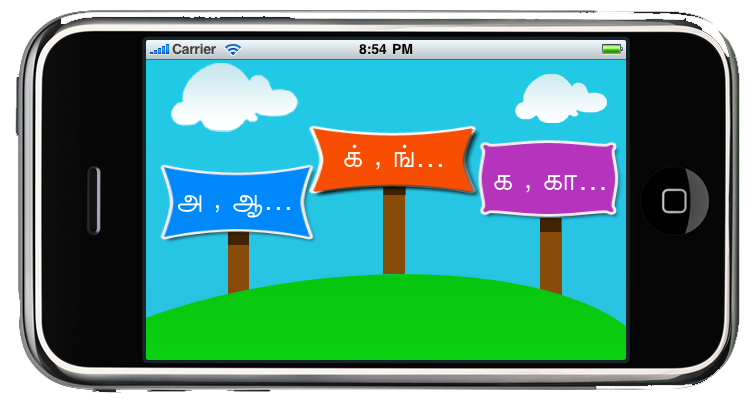 Parents, Wondering are there any easy way to help kids learn Tamil! ? Tamil flash cards comes handy for our children to learn the letters, vowels and consonants easily. It is a simple way of combining audio and letter 's to make it easy for the kids to remember the words. They also learn how to say each letter. Tapping on the letter will pronounce it. The voices are from real kids . Kids get encouraged by this and it makes learning fun for them. - Kids can flip through each screen. - Animation of bird dropping letters. - Animation of Kid dropping letters at flight. - More fun features to keep kids interested. My daughter is in the first grade & they take "speed math" tests. This app has been so helpful! It's so much more fun for her than flash cards! (and cheaper too) We LOVE the positive feedback! The stars, stickers and awards are a great motivator! Thank you!